However, for some problems this human knowledge may be too expensive, too unreliable or simply unavailable. As a result, a long-standing ambition of AI research is to bypass this step, creating algorithms that achieve superhuman performance in the most challenging domains with no human input. In our most recent paper, published in the journal Nature, we demonstrate a significant step towards this goal. 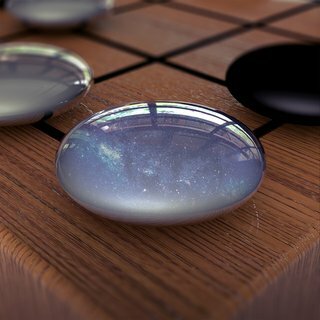 The paper introduces AlphaGo Zero, the latest evolution of AlphaGo, the first computer program to defeat a world champion at the ancient Chinese game of Go. Zero is even more powerful and is arguably the strongest Go player in history. This updated neural network is then recombined with the search algorithm to create a new, stronger version of AlphaGo Zero, and the process begins again. In each iteration, the performance of the system improves by a small amount, and the quality of the self-play games increases, leading to more and more accurate neural networks and ever stronger versions of AlphaGo Zero. It also differs from previous versions in other notable ways. AlphaGo Zero does not use “rollouts” - fast, random games used by other Go programs to predict which player will win from the current board position. Instead, it relies on its high quality neural networks to evaluate positions. All of these differences help improve the performance of the system and make it more general. But it is the algorithmic change that makes the system much more powerful and efficient. 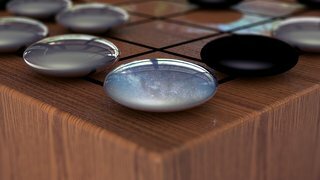 After just three days of self-play training, AlphaGo Zero emphatically defeated the previously published version of AlphaGo - which had itself defeated 18-time world champion Lee Sedol - by 100 games to 0. After 40 days of self training, AlphaGo Zero became even stronger, outperforming the version of AlphaGo known as “Master”, which has defeated the world's best players and world number one Ke Jie. This work was done by David Silver, Julian Schrittwieser, Karen Simonyan, Ioannis Antonoglou, Aja Huang, Arthur Guez, Thomas Hubert, Lucas Baker, Matthew Lai, Adrian Bolton, Yutian Chen, Timothy Lillicrap, Fan Hui, Laurent Sifre, George van den Driessche, Thore Graepel and Demis Hassabis.